A high-precision Iskander-M tactical missile, capable of carrying nuclear warheads, destroyed a target located 300 kilometers away in southern Russia, confirmed today a source of the Ministry of Defense. 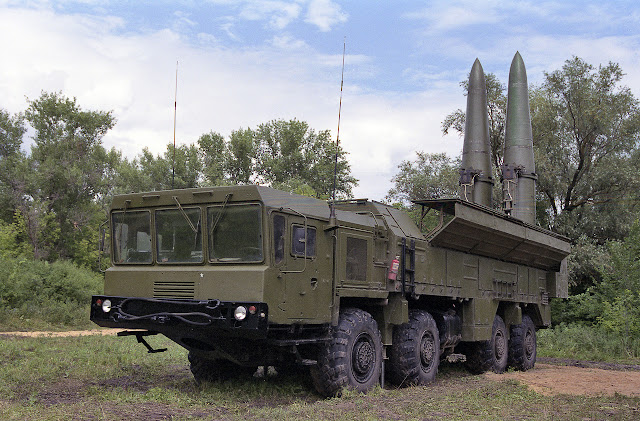 The spokesman of the Eastern Military District, Alexander Gordeyev, told reporters that a unit of that command test-fired the missile against a target that simulated an enemy command center, in the southern Astrakhan region. Gordeyev noted that after the success in the trial, the mobilized Army unit returned with the missile system to its permanent base of deployment, in the republic of Buryatia, in Siberia.